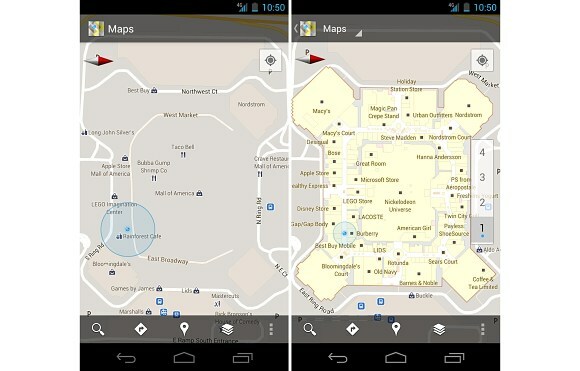 Google just announced the new version of its Maps app for Android. The mapping and navigation software got indoor maps and navigation, allowing you to find your way around malls, airports, IKEAs and whatnot. Google Maps 6.0 is also said to be able to detect on what floor of the building you are and adjust the map data appropriately, so you will only be seeing what's around you. According to the developers, the location algorithm is finely tuned, so it should work as well indoors as it does outdoors. Mall of America, IKEA, The Home Depot, select Macy’s and Bloomingdale’s, Daimaru, Taskashimaya and Mitsukoshi locations and more. Here goes a quick demo of Google Maps 6.0 in action. You can download the latest version of the app right now from the Market on your phone/tablet or from the website of the official Android app repository. read the "more" section ... it'll mentione it's because the "region restriction" rather SGS2 will need for some more time before it's available for your country. samsung galaxy s 2 - not compatible with your device?!?!?! I got a better idea, get a bit of paper with some lines on it oftern colour coded to highlight areas or companys. Add some words to describe the above and add an arrow with the phrase "you are here" might work, dunno, anyone tried it?